Before humans took their first steps, there were billions of years of vibrant and varied life on earth. Discover the fascinating story of our planet, from the formation of the universe to the first mammals, and all the incredible life that flourished in-between. 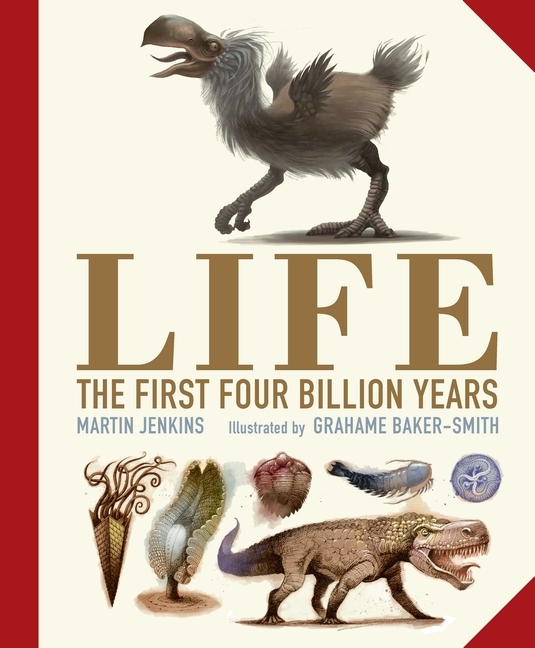 Covering ice ages and fossils, life in the teeming primeval seas and the first life on land, the time of the dinosaurs and the rise of the mammals, Martin Jenkins navigates through millions of years of prehistory in enthralling and accessible style. With gorgeous art from the Kate Greenaway Medal-winning illustrator Grahame Baker Smith, this is a captivating journey through the life of our planet before we called it ours. Martin Jenkins is a conservation biologist by trade. He worked for ten years for World Conservation Monitoring Centre, writing about a range of conservation issues, and since 1990 he has worked freelance for organisations such as WWF and a number of UN bodies concerned with conservation and the environment. Martin has written many children’s books, including Emperor’s Egg, winner of the Times Junior Information Book of the Year Award and Fly Traps! Plants that Bite Back, which was shortlisted for the same award. Martin lives in Cambridge.